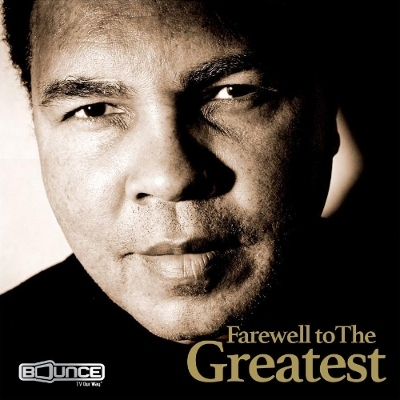 Atlanta-based BounceTV will carry Muhammad Ali's farewell procession through the streets of Louisville and his memorial service live, uninterrupted and commercial-free this Friday, 10 June. BounceTV's coverage will begin at 9:00AM eastern time with the procession, which will take Ali on a final journey through his beloved hometown of Louisville, passing memorable landmarks in his life, including his childhood neighborhood and the Muhammad Ali Center. BounceTV will also air the memorial service scheduled for 2:00PM eastern time, which will include eulogies by President Bill Clinton, Bryant Gumbel and Billy Crystal. Between the procession and the service, BounceTV will present The Greatest, the 1977 motion picture in which Ali stars as himself. A dramatization of Ali's life, The Greatest begins with Cassius Clay winning gold at the 1960 Olympic Games and then follows his stunning victory over Sonny Liston, his conversion to Islam and name change, Ali's refusal of the military draft on religious grounds and subsequent nearly four-year long court battle to fight again. Ali wins the legal victory and then returns to the ring and takes part in what many consider some of the greatest boxing matches of all time.